On account of the delay in signing an agreement for the Rafale fighters, the Indian Air Force will be forced to use its MiG-21 Bison fleet for another 12 years. Su-30 MKI aircrafts will also replace the aging MiGs. The Indian Air Force (IAF) will not be able to abandon using its MiG-21 fighters until 2025, because of the delays in signing an agreement for the supply of the medium multi-role combat Rafale fighters and production of the indigenous Tejas aircraft, The Times of India said. 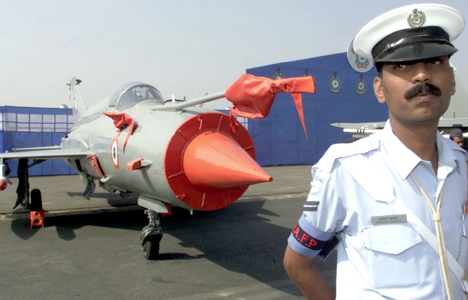 110 Indian Air Force MiG-21 fighters were upgraded in 2006 to MiG-21 Bison. It was earlier reported that India would completely phase them out by 2018-1019. According to IAF calculations, by 2022, 42 fighter squadrons will be at its disposal, compared to 34 units at the moment. It was assumed that the Rafale would replace the MiG-21, but due to the fact that an agreement to supply them has not been signed until now, India will start to replace the MiG-21 fighters with the Russian Su- 30MKI. To date, it has put into service more than 170 Su- 30MKI aircrafts out of the 272 ordered from Russia. By 2017, 14 squadrons of these fighters will be based in India. On Friday, IAF chief Anil Kumar Browne said that the first Rafale will come to India no earlier than 2017. MiG-21: People’s fighter or plane dangerous? The French company Dassault which produces the Rafale, won the tender in January 2012. As per the terms of the tender, the winner invests half of the amount paid for the aircraft into the production of fighter jets in India. About 110 Rafale aircrafts should be made by the India’s Hindustan Aeronautics Limited (HAL), while only the first 18 are to be made directly by the supplier company and delivered assembled. The value of the deal was originally estimated at $10 billion, but the Rafales are likely to cost India more than $20 billion. In April, India celebrated the 50th anniversary since the start of deliveries of the Soviet MiG-21. The agreement was signed in 1962, but the deliveries began a year later. In 1967, HAL manufactured the first MiG-21 under a license obtained from the Soviet Union. More than 260 of these fighters are still in service. First published in Russian by Itar-Tass.